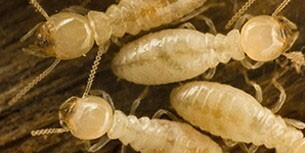 Western Sydney is home to several species of Subterranean Termites. The majority of damage in this area is caused by the dreaded Coptotermes acicaciformis. With the ability to penetrate the mortar joints between brickwork of homes below ground level, they give the homeowner virtually no clues of their presence until there is a structural collapse. By that time major repairs are necessary. Termites live in underground tunnels and build underground highways from the nest to a food source. You will never see a termite foraging for food in an exposed position. They are called Subterranean Termites and therefore 90% of the time you will never find the nest which can be hidden inside trees or within the walls of a building. There can be well over 500,000 termites within a single colony. Termites Can travel up to 100+ meters away from the nest. They can travel & eat a house on the other side of the road or in the next street, all at the same time. It is not uncommon for them to be attacking several houses at one time. 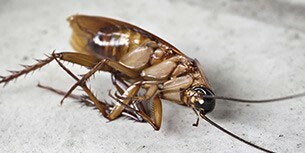 It is also very possible for termites to attack various units, rural properties and even city high-rise. For homes constructed with a concrete slab, this now constitutes more than 70% of our current termite infestations. Once homes have their brickwork covered over so that you cannot see the slab for the entire perimeter of the dwelling, consider your home on the “termite waiting to be eaten” list. Any area of the slab covered over by anything is a potential entry point. Homes on Piers are the most susceptible to termite infestation, and at the very least should consider an Annual Termite Inspection. An annual termite inspection can protect you and save you thousands. Better still is to Termite proof it with a Chemical Barrier. 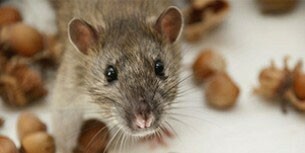 Pioneer Pest Control specialise termite control, termite inspections and most importantly, pest eradication. We detect termites by using TERMATRAC. Radar, thermal imaging gives our technicians three separate means of detecting termites in your home walls, foundations and timber frame. Termite inspections without Termatrac can be a waste of money and time.